Need for speed? See the fastest German Autobahns. A sarcastic local tells you all you need to know about driving fast on German motorways. A3 Cologne-Frankfurt. No speed limit. Time to put your foot down? It would be un-German not to. For a famously humourless race, Germans can actually be quite funny about cars. See ‘Mantawitz’ – Manta Jokes – which spawned two films in the early 90s: Manta Der Film and Manta, Manta. In the first a young lad dreams about owning a Golf GTi. Instead his dad buys him an embarrassingly souped-up Opel Manta in which he has to squire a girlfriend. In the second film, the now-older hero has fully embraced the tuner lifestyle and German lust for (horse)power: split rims, flared arches, harlequin revcounter, cowboy boots and drag races down the high street. They are funny even without subtitles. Now Clemens Gleich has opened a new front in German automotive humour with his eBook ‘The Traveller’s Guide to the German Autobahn’. ‘The only thing we love more than making The Rules is explaining The Rules to the ignorant,’ he says before going on to detail the ins and outs of driving fast on German motorways – including some technical hints, the best times to go and the obscure laws. He’s particularly strong on ‘Kraftfahrstrasse’ (you’ll have to buy the book to find out what they are). Despite what you may have heard, well over 60% of the German motorway network is derestricted and there’s no prospect of that changing. ‘A general speed limit seems un-German to us, has a socialist stench, maybe even something French about it,’ says the author. ‘The Traveller’s Guide to the German Autobahn’ is downloadable to your phone, eReader or computer. At 77p it’s damn near free. Recommended. Click to see it on Amazon. 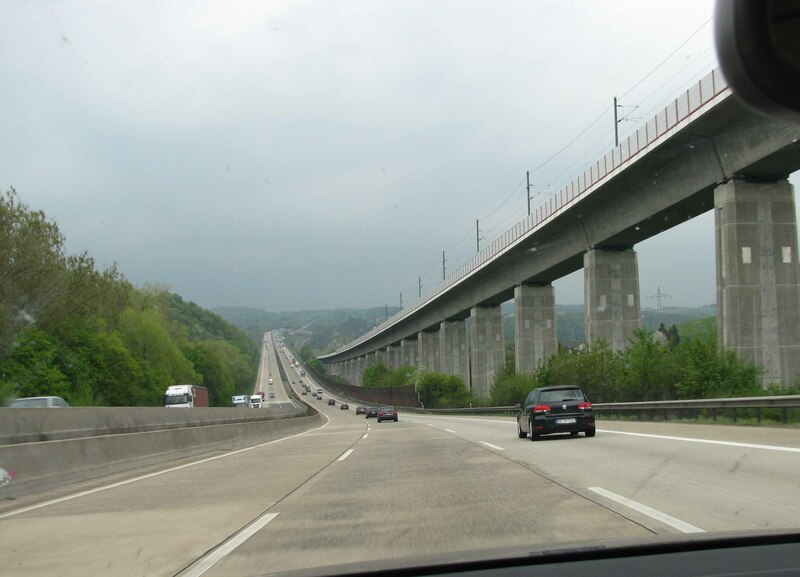 Read thelocal.de’s Top Ten Autobahn Dos and Don’ts.